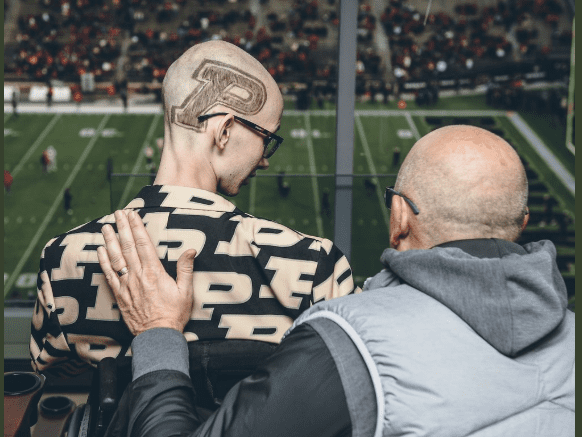 There might not be a sports fan more inspiring than Tyler Trent, the former Purdue student who’s become a national story in his fight with terminal bone cancer. Now people can show how much they’re fans of Trent. As ESPN’s Darren Rovell reported, Milwaukee’s Bobblehead Hall of Fame and Museum has partnered with Trent and Purdue University to make and sell a bobblehead of the inspiring 20-year-old fan. Cancer research saw a spike in funding following Trent’s support of the Boilermakers during Purdue’s win over Ohio State in October, per Rovell, and now even more donations are expected thanks to the bobbleheads, which will be sold for $30. The Tyler Trent Cancer Research Endowment at Purdue will receive $2 from the proceeds of each one sold, according to Rovell, while The V Foundation for Cancer Research will get $3 for each purchase. 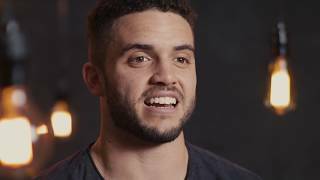 “Tyler’s bobblehead is somewhat new territory, but it’s very similar to many of our other successful bobbleheads like Sister Jean, where people feel a strong connection to the person and their message,” Phil Sklar, founder of the museum, told ESPN.